This one just tops all the weird things I have seen for a long time. This looks like a masterful crack pipe formed the fulfil all the weirdest fantasies out there. 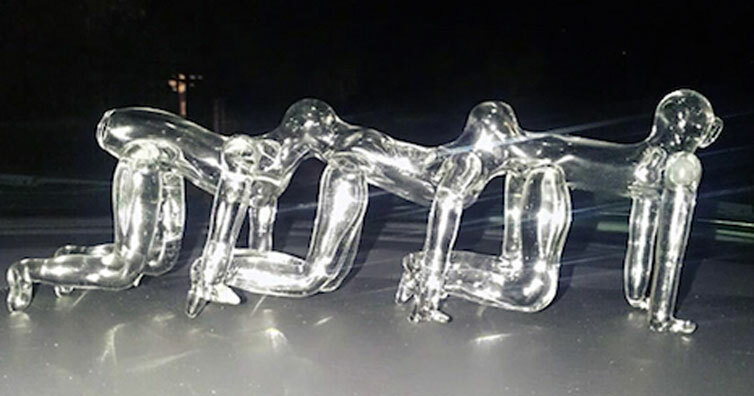 If you are one that likes to smoke weed we hope that you don’t stoop low enough to smoke out of something like this. Okay, so I know people do a lot of weird crap, but really? 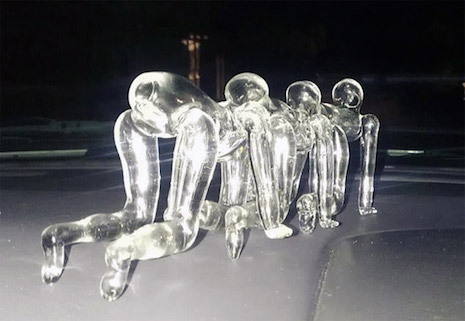 A human centipede pipe? Like, who would smoke out of this? Apparently they aren’t in high demand, either that or the maker realised how weird this thing is. According to its maker, Dustin Yunker, this is just a one-off so don’t expect to see it stocking any shelves at the pipe shop. Does anyone really want to get stoned bad enough to result to a pipe like this? Anyone smoking out of this can count on smoking alone. I can guarantee that the temptation of getting high probably won’t be tempting enough for very many people to put this to their lips. What end do you even smoke out of anyway?